Using technology borrowed from our KA-1250 project, this muzzlebrake offers angle-ported recoil reduction in a lightweight package. Machined from a solid piece of 4340CM alloy, this brake is extremely strong and durable. This brake has 30 degree rearward porting to reduce the amount of blast and noise directed toward the shooter. 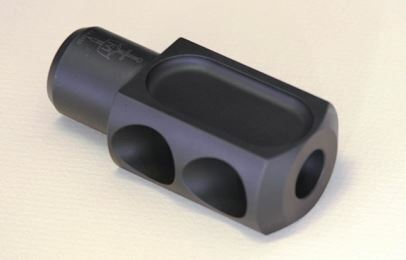 Utilizing KA's proprietary 'gas trap' design, it redirects and vents propellant very efficiently for maximum recoil reduction. This is not a generic smaller caliber brake bored out to work on the 50 caliber. 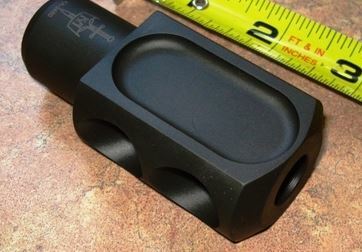 This muzzlebrake allows lightweight .50 carbines to be more controllable and comfortable to shoot. 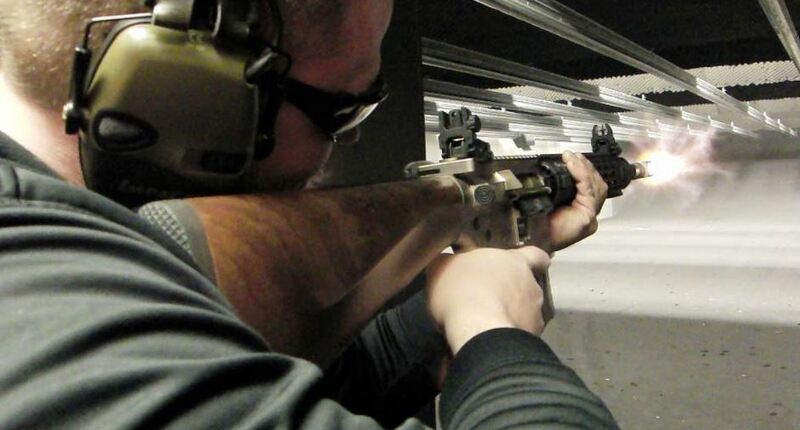 The KA-0450 makes your big bore much more manageable to shoot by reducing recoil to comfortable levels. The KA-0450 is threaded specifically for the Alexander Arms .50 Beowulf rifles with 49/64"x20 threads, but will also work on other .50 carbines (non-BMG) with the same barrel thread.